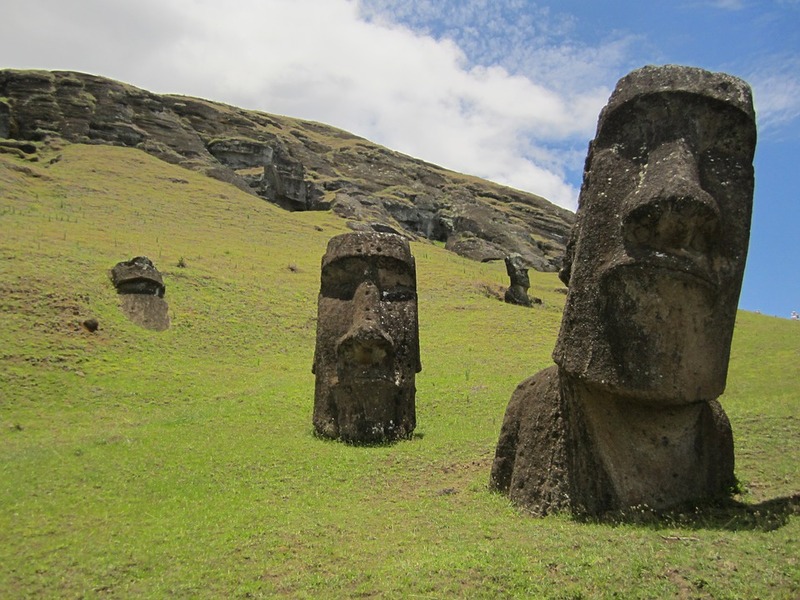 This is a 6 days trip that give you a deeper insight of Rapa Nui - The Easter Island. You will learn about the local culture, explore the nature and really learn to know this mythical and divine island. Day 1: Transfer Hotel / Airport – Flight to Easter Island -Transfer Airport / Hotel. Depending your flight our guide will pick you up to transfer you to the Santiago Airport. You will be picked up at the airport of Easter Island with a flower necklace according to local Polynesian tradition. Transfer to your hotel. You will have the afternoon and night free for to rest and enjoy your hotel &amp; surroundings. At 09:30 hrs our local guide will pick you up for to have our Moai Monuments Tour: Uncover the secrets of Easter Island by piecing together the many clues given to us by the gigantic sculpted megaliths that cover this mysterious land. Start the journey by visiting the ahu platforms at Tahai, where the clear morning light brings alive the moai that look over this restored ancestral village of the Rapanui people. Visit the ruins of the fallen moai at Ahu Akahanga, where three platforms sit untouched since the Rapanui turned on the traditions of their ancestors and began toppling the moai. Stand in awe at the restored site of Ahu Tongariki, where fifteen stone giants stand watch over the land as silent sentinels, dwarfing all who come into their presence. Spend a bulk of the afternoon absorbing the grandeur of the moai that sit half emerged from the soil Rano Raraku, the volcano crater that acted as a stone quarry and birthplace for these immense figures. Visit Ahu Te Pito Kura, the site of the largest moai to ever stand on an ahu, and see the legendary magnetic stone that according to island history, was brought to Easter Island from the original Polynesian homeland of Hiva by the first king, Hotu Matuʻa. Finish the day taking in the coconut palms, turquoise water and white sand at Anakena Beach, and gazing upon the post-modernist style moai of Ahu Nau Nau. On this tour you will need to display your National Park ticket. We will return into the hotel at afternoon for to rest. Discover the main places of Rapa Nui on a bike tour where your local guide will show you some special places. At 08:30 hrs our local guide will pick you up for to start the adventure. Unearth some of the gems of Easter Island´s fascinating past with stops at several significant sites of interest. Head to Puna Pau, the small crater that acted as the scoria quarry for the moai's famous topknots, before continuing to the site of the island´s most intricate stone work at Ahu Tahira in Vinapu, where the moai platform is reminiscient of the legendary masonry of the Incas of South America. Take in the breathtaking views at the giant cauldron of Rano Kau, a miniature eco-system and the largest volcano crater on the island. Experience the wind on your face at the clifftop ceremonial village of Orongo, and discover the significance of the Birdman Cult that emerged out of the ruins of the Moai building era. Peer off the precipice at the ocean below where once a year during the Birdman competition, brave warriors from the island&#39;s various clans would climb down the steep rocky cliffs to the swirling ocean below and swim out to the small islets off the coast in an attempt to bring back the first egg of the manutara bird, therefore winning the right for their clan to rule the island for the following year. Finish the day with a visit to Ahu Akivi, the renowned seven inland moai that stand gazing oceanwards, and explore the large and unique cave system of Ana Te Pahu, known affectionately as he Banana Cave. that, according to island legend, was used a prison during times of warfare. Ana Nga Heu - A single cave with several petroglyphs of the Rapanui god, Makemake. Hanga o Teo - The remnants of an old cattle station set up against the backdrop of the impressively steep slopes of Mt Terevaka. The grove of coconut palms stands out like an oasis in the comparatively barren landscape. Anakena Beach - An apt reward for a day's worth of hiking. Clear blue waters, white sands, coconut groves, and a range of service providers selling food and beverages. On this tour you will need to display your National Park ticket. Experience Journey back in time to the world of the Polynesian Voyagers with Rapa Nui’s only hands on stargazing experience. Learn about the principles of basic astronomy, the history of Polynesian voyaging and settlement, navigational techniques and the archeo-astronomy of Rapa Nui. Head out to some of the island’s traditional observatory sites to gaze at the night sky on one of the most remote islands in the world, and view stars and constellations visible only in the Southern Hemisphere. Your guide will point out stars and constellations of interest to the Polynesian navigators, relating some of the stories and legends that are tied to them, and explain techniques on how to find certain cardinal points of the traditional Polynesian compass by using the layout of the night sky. Look at the beauty of star clusters, nebulae, galaxies, stars and planets visible through our high powered telescope before of heading to Anakena Beach and Huri a Urenga, with the option of taking spectacular shots of the star-filled sky moai in the foreground. Finish the night with a cup of hot chocolate and a slice of poʻe, a local spin on banana bread. Due to the nature of stargazing, there is always a possibility of cancellation due to cloud cover, rain or high winds. We reserves the right to postpone or cancel tours when atmospheric conditions are not conducive to stargazing. In such cases, a full refund (of this activity) will be offered. Depending your preferences you can choose the morning or the afternoon for your Diving Baptism Experience: Discover scubadive (also called “diving baptism”) is an activity for those without a any diving experience or a diver license. It starts with an introductory class (around 20 minutes) in which our staffs will explain what people basically need to know to have a safe and fun diving experience. After this, each person goes underwater with one instructor at maximum 12 meters depth, for around 30 minutes. This is a highly personalized experience, you will have an instructor looking for your safety during the whole activity, so you can enjoy. We visit one of the three dive sites we have right in front of the bay, where we can find beautiful coral gardens full of color fishes (most of them are endemic) and if you are lucky, meet the turtles. Between 19:30 and 20:00 hrs. your transfer will pick you up in your hotel for to go into a local restaurant for to have a Dinner Show with typical food, music and dance. Airport. At your arrival to Santiago de Chile our guide will transfer you at your hotel in Santiago.